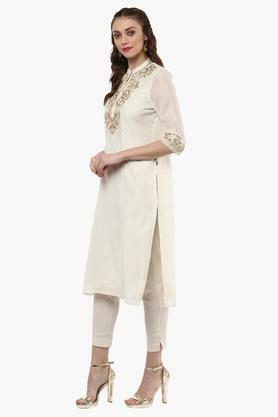 Flaunt the right amount of elegance, style and class with this kurta from Juniper. Crafted from chanderi, this kurta with lining can be comfortably worn throughout the day. 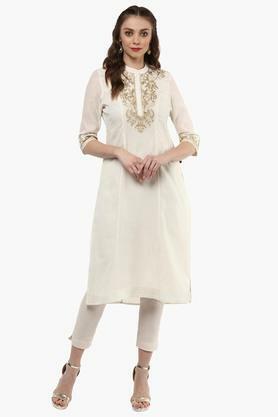 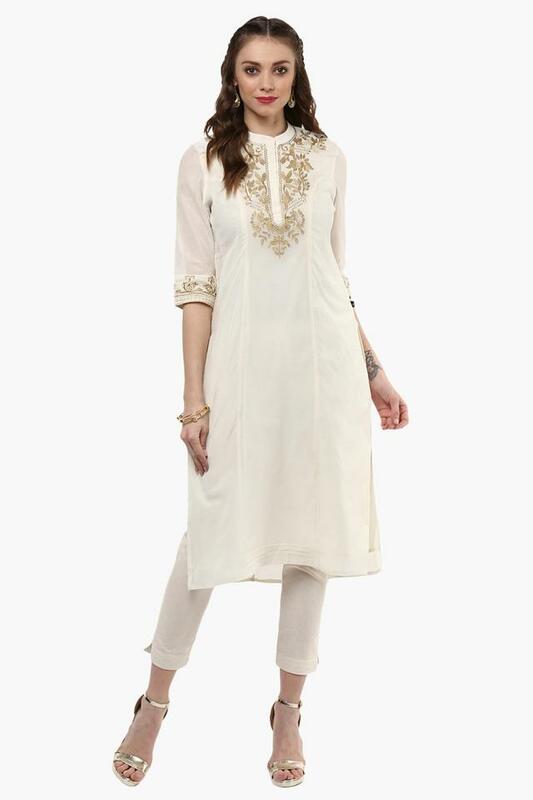 The embroidered pattern of this kurta makes it a must have in your wardrobe. 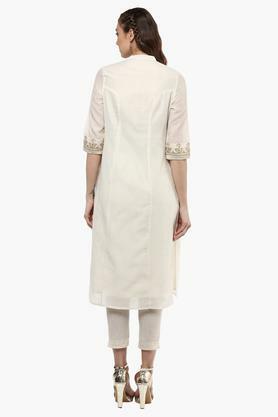 Stitched to perfection for a snug fit, this kurta from Juniper lets you flaunt your curves. Style this kurta with an attractive contrast color beaded bag to liven up your attire.